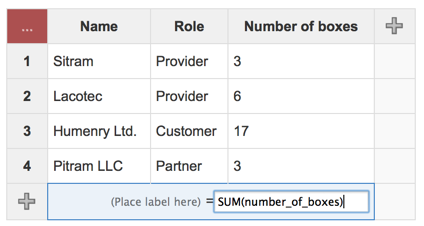 This week, I’ve published a few things: The SQL Macro is published separately, ensuring good communication about the fact it’s free; Introducing the Totals at the bottom of the SQL Query macros and introducing a microsite about learning SQL for the workplace. Uninstall the Spreadsheets plugin, keep only Play SQL Base. This process ensures your data (your prepared queries) is migrated. As you can see in the second one, you can pretty much type any kind of SQL in the field. Here’s a small tutorial about formulas for totals rows. I can’t let invitations open for this website because of the limitation in the number of users, so if you wish to participate, please contact me.